Our client called us explaining that their LED security light had stopped working. We inspected the unit and found that the built-in PIR sensor had failed causing the light to stop working at all times. 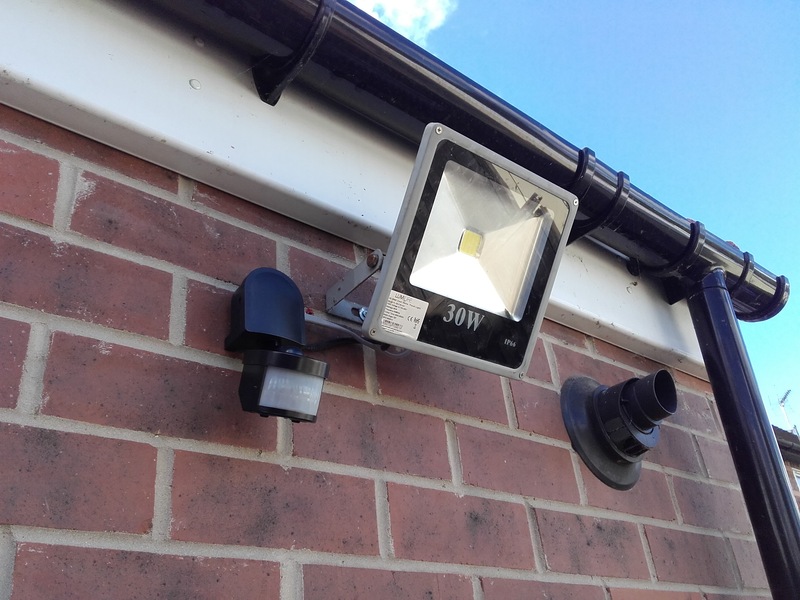 We advised our client that it would be more cost effective to fit a new PIR sensor rather than replace the whole LED unit. We set about modifying the LED unit by removing the built-in PIR sensor and associated internal wiring to allow us to fit a new external PIR sensor. The end result is till tidy and works a treat. As a bonus the new PIR has more adjustability than the old unit and a wider coverage angle.